Research shows that most people prefer to take over-the-counter natural remedies to treat their anxiety instead of medication. The good news is that there are many natural supplements that can bring you relief and ease your chronic stress and anxiety. And they are safe and don’t cause adverse side effects like anti-anxiety medicine. This article lists the best natural supplements that are proven to reduce anxiety and stress. These solutions are evidence-based and backed by research. They have worked for me and for many other people. It starts off with my top 10 personal favourites. And then offers 18 other great options. It’s known to produce a calming effect on the brain by crossing the blood-brain barrier and increasing the production of GABA, serotonin and dopamine in the brain. Unlike prescription anti-anxiety medication, it does not cause sedation and drowsiness (72-75). Researchers have found that theanine supplements significantly reduce stress and anxiety, lower heart rate, and increase mental relaxation (77-81, 83). Studies have also shown that theanine increases alpha brain waves and deactivates the sympathetic “fight or flight” nervous system (76, 82). And animal research shows that it reduces “circulating biomarkers of stress” in rats (84-85). I take theanine alongside my morning coffee. It improves my mood, helps me focus and cancels out the jitters of caffeine. It’s sort of like meditation in a pill. This anti-anxiety supplement contains theanine, along with several natural compounds that have helped me manage my anxiety over the years. It’s absolutely essential for the proper functioning of your nervous system and optimal neurotransmitter activity. Nine different studies have found that magnesium supplements can reduce anxiety in humans and improve anxiety-related disorders (96-100). And they start reducing anxiety quickly, often within one week (101). 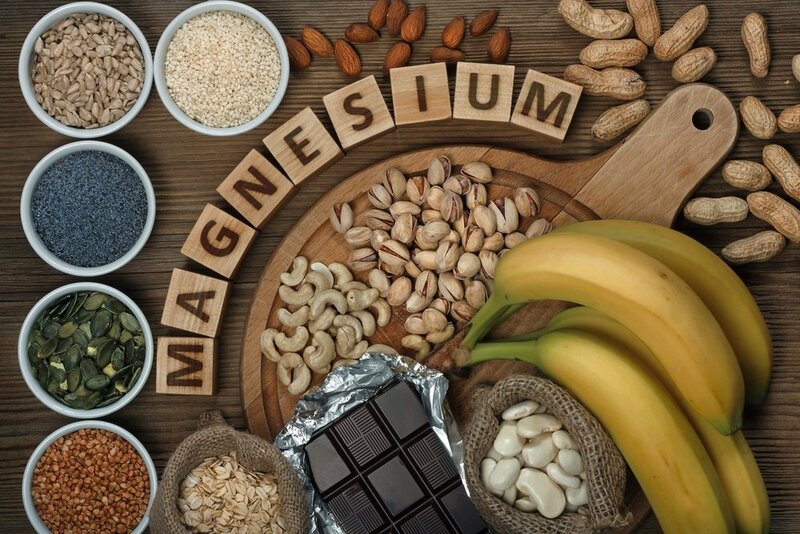 Plenty of researchers have also found that magnesium has a relaxing effect in animals by calming the hypothalamic-pituitary adrenal (HPA) axis and activating GABA receptors. These are the same receptors activated by anti-anxiety medication (102-107). I personally take this magnesium threonate supplement before bed. It’s the best form of magnesium for the brain. Magnesium is one of the three supplements that I think everyone should be taking. Ashwagandha (Withania sominifera) is a popular Indian herb that has been used for more than 3000 years. It’s sometimes called the “Indian Ginseng”. It’s known as an “adaptogen”, which is a compound that balances the body and restores normal bodily functioning after chronic stress. A systematic review concluded that ashwagandha significantly reduces symptoms of stress and anxiety and is likely useful in the treatment of anxiety disorders (11). In fact, two studies found that ashwagandha worked better than medication and psychotherapy at treating and reducing anxiety (12, 17, 19). And other researchers have found that it reduces anxiety, decreases perceived stress, and improves the quality of life of people with anxiety disorders (13-16, 18). Animal research also shows that ashwagandha causes anti-anxiety effects, reduces OCD-like behaviour and improves stress tolerance in rats (20-25). So it’s a pretty amazing herb for anxiety! By increasing serotonin and GABA in the brain, and lowering cortisol levels by 25 per cent (26-29). Ashwagandha is one of the herbs I took to help myself get off psychiatric medications. 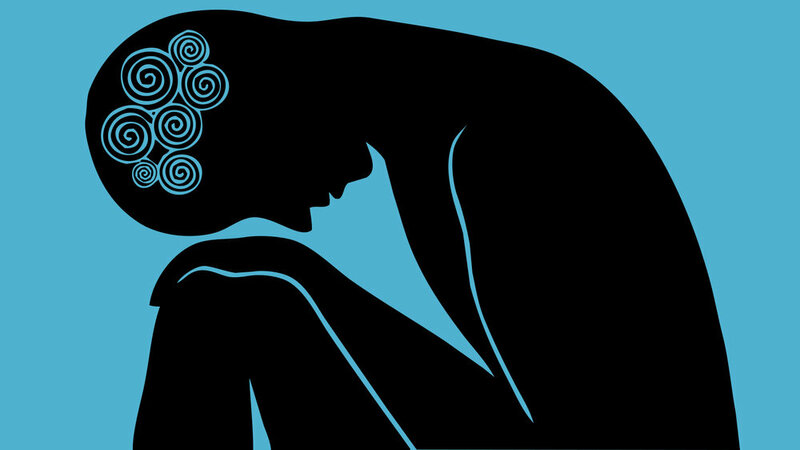 Zinc is an essential mineral for mental health, especially if you have chronic anxiety. Like magnesium, it plays a key role in neurotransmission and nervous system functioning. Researchers have found that zinc supplements can reduce symptoms of anxiety in both humans and animals (123-125). I created and take the Optimal Zinc supplement to make sure my zinc levels are optimal. I previously wrote about the link between zinc and anxiety in this post. Zinc can also stimulate your vagus nerve, which reduces anxiety. Bacopa is an adaptogenic herb. It’s commonly used to improve cognition and memory, but it’s also very good at reducing anxiety. Researchers have found that bacopa supplements reduce stress, anxiety and cortisol levels in humans (89-91, 94). In fact, one of the ways bacopa improves cognition is by simply reducing anxiety (95). So if you have anxiety, and it negatively impacts your thinking, bacopa is a good choice. Animal studies also show that bacopa reduces the biochemical effects of acute and chronic anxiety in rats. It does this by significantly increasing serotonin and dopamine levels and significantly reducing stress hormone levels (92-93). I took this bacopa supplement for a while. I found that it made me really relaxed and sleepy. I eventually stopped taking it because it made me too sleepy. But if you have very severe anxiety, it can be very helpful. Probiotics have also been shown to reduce anxiety. One study found that a probiotic supplement containing Lactobacillus Rhamnosus significantly reduced anxiety and stress in humans (46). And animal research shows that Lactobacillus Rhamnosus reduces stress and anxiety-like behaviour in mice (47-48). Bifidobacterium Longum is another probiotic that can reduce anxiety. Individuals that took it for 30 days experienced less anxiety and psychological distress, and also had lower cortisol levels (49). Bifidobacterium Longum also reduces anxiety-like behaviour in animals by stimulating the vagus nerve (50-51). Both Bifidobacterium Longum and Lactobacillus Rhamnosus are included in the Optimal Biotics supplement. You can also check out this article to learn more about the top 9 psychobiotics that can help reduce your anxiety. And this older article includes 5 ways to increase your good gut bacteria. Inositol is a naturally-occurring molecule found in nearly all plants and animals. It plays a key role in various biological processes. The brain has the highest concentration of inositol, where it plays an important role making neurotransmitters. Inositol can be found in many foods, particularly fruit, especially cantaloupe and oranges. But you need to supplement with it to reduce anxiety. Researchers have found that taking an inositol supplement every day can significantly reduce anxiety in both adults and children. This includes a reduction in panic attacks and fewer symptoms of agoraphobia and obsessive-compulsive disorder (64-67). In fact, research suggests that it’s as effective as an SSRI antidepressant in the treatment of anxiety and panic disorder (62). And one study shows that it can reduce anxiety in people struggling with bulimia or binge eating (63). Lots of animal research also shows that inositol reduces anxiety-like behaviour in rats (68-71). It’s important to point out that the research suggests that you need to take high doses (12 to 18 grams daily) if you want to experience the anxiety-reducing benefits of inositol. I took high doses of this inositol powder when weening off psychiatric medication. I now simply take a normal amount found in this B Vitamin Complex. Check out my full post about inositol to learn more about the benefits. Fun fact: Inositol is a white powder, so actors snort inositol instead of actual cocaine in television and movie scenes. Valerian (Valeriana officinalis) is an herb, and the root of the herb has traditionally been used to treat insomnia. But it also can reduce anxiety. Research shows that valerian root extract significantly reduces stress and anxiety (235-236). Animal studies have also found that it reduces psychological stress and anxiety in rats and mice (259-265). And in one study, Valerian demonstrated some anti-obsessive and anti-compulsive effects and therefore may help treat obsessive-compulsive disorder (234). Inhibiting the breakdown of GABA in the brain (247-268). As a result of this, it creates a calming effect similar to anti-anxiety drugs like Xanax and Valium. This is why Valerian is often called “Nature’s Valium”. Valerian is one of the first herbal remedies I took years ago to manage my anxiety at night and improve my sleep. It’s included in this anti-anxiety supplement. Valerian supplements include the roots and stems of the plant. But you can also take it as a tea or tincture if you want. Research has found that CBD oil significantly reduces anxiety in both healthy individuals and patients with social anxiety disorder (3-4). It also significantly reduces anxiety, distress and discomfort caused by public speaking (5). Researchers also think it can help people with panic disorder, obsessive-compulsive disorder and post-traumatic stress disorder (2). This is because studies show that CBD activates serotonin receptors in the brain, increases GABA levels, lowers activity in the amygdala, and increases activity in the prefrontal cortex (6-10). I only took it in the evening because it made me too drowsy during the day, and I don’t need to take it anymore for anxiety. Some people report that marijuana makes them anxious. When I’ve smoked it in the past, it often made me anxious. This is possibly because most marijuana has high levels of THC and lower levels of CBD. Taking extra CBD may help. 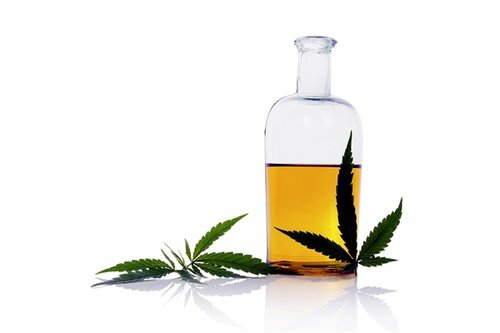 One study found that CBD blocks the anxiety caused by THC (1). Kava is a plant located in the western Pacific. The root of the plant is used medicinally to treat anxiety and sleep disorders because it causes relaxation without impairing cognitive performance. Some people say it feels like drinking alcohol. A meta-analysis concluded that kava can significantly reduce anxiety without very many side effects (30). And numerous human studies show that kava can reduce all sorts of anxious symptoms, including tension, agitation, restlessness and phobias (32-34). Researchers have compared a bunch of different herbal anti-anxiety remedies, and they found that kava is one of the most potent and effective options (35-36). In fact, they think that kava should be a first-line treatment for anxiety because it’s so powerful and safe and works just as well as anti-anxiety medication (31, 37-38). Studies even show that kava works similarly to benzodiazepines like Xanax by activating and strengthening GABA receptors in the brain (39-45). I personally don’t take kava anymore because I get a weird reaction from it and I was able to confirm that I’m allergic to the plant. But it works very well for many people, so that's why I'm including it in my top 10. Numerous studies show that supplementing with omega-3 fatty acids significantly lowers inflammation and progressively reduces symptoms and feelings of anxiety (108-114). Researchers have also found that supplementing with omega-3 fatty acids inhibits activation of the hypothalamic-pituitary adrenal (HPA) axis, which is involved in anxiety (108). I recommend supplementing with krill oil, a special kind of fish oil that contains the essential omega-3 fatty acids. I feel more anxious when I stop taking it. I actually notice the difference. You can read more about the importance of omega-3 fatty acids here. Chamomile is a medicinal herb that has been traditionally used for its calming and anti-inflammatory properties. It contains essential oils and flavonoids that can help you relax. 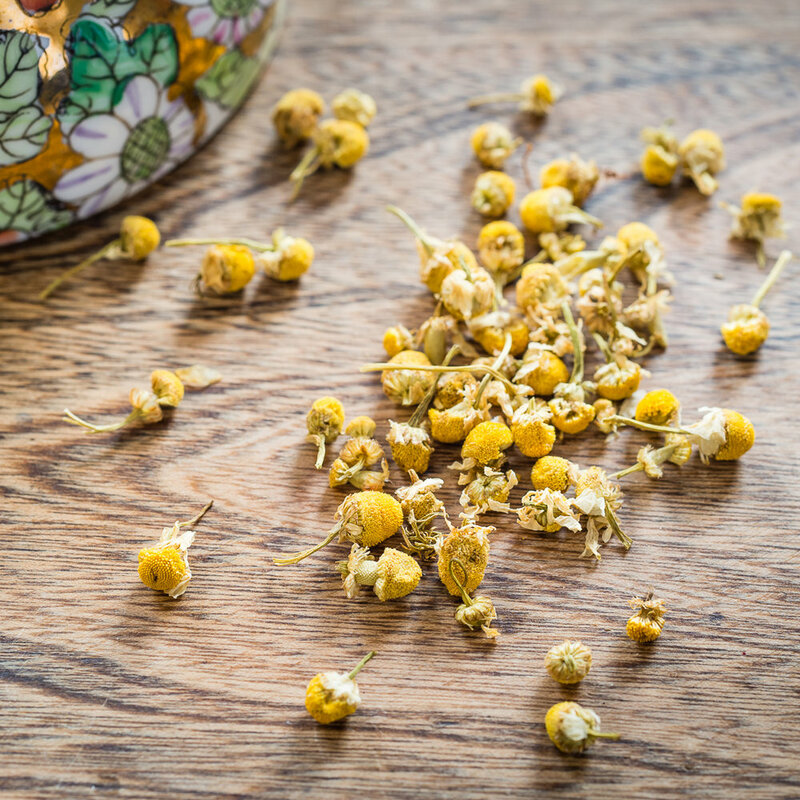 Researchers have found that oral supplementation of chamomile significantly reduces anxiety and stress in patients with generalized anxiety (54-58). Animal studies show that chamomile contains substances that act on the same parts of the brain as anti-anxiety drugs (52-53). Apigenin, one of the main flavonoids in chamomile, reduces anxiety without sedation by enhancing GABA communication (59-61). This anti-anxiety supplement includes chamomile. Passion Flower represents a family of plants known as Passiflora. There are about 500 known species of Passion Flower. One species, Passiflora incarnata, has been shown to reduce anxiety and stress. In one study, researchers found that Passiflora incarnata extract reduced generalized anxiety as much as a benzodiazepine. But it didn’t cause side effects that are common with anti-anxiety medication, such as cognitive impairment (213). Two other studies show that supplementing with Passion Flower significantly reduces anxiety before surgery (214-215). Animal research has found that it increases GABA, a neurotransmitter that reduces stress and anxiety (216-217). Passion Flower is one of the first herbal remedies I took years ago to manage my anxiety. It’s included in this anti-anxiety supplement. Lemon balm (Melissa officinalis) is a lemon-scented herb and tea known to reduce inflammation, lower cortisol and increase GABA levels in the brain. As a result, it has a sedative effect, calming the nerves and relaxing the body. Research shows that lemon balm extract significantly reduces anxiety and stress in humans (146-149). In one study, researchers gave Cyracos, a standardized lemon balm extract, to individuals with anxiety disorders, and it significantly reduced their anxiety. As much as 95% of the subjects responded to the treatment, and 70% of them achieved full remission (145). Animal studies also show that it reduces stress and anxiety in rats by reducing stress hormones and increasing serotonin and GABA. The effects are comparable to anti-anxiety medication (150-155). Lemon balm is included in this anti-anxiety supplement. In one study, individuals with generalized anxiety disorder supplemented with rhodiola, and it significantly reduced their symptoms of anxiety (88). Improvements can be seen within just three days of treatment (87). I take this rhodiola supplement as needed. I find that it improves my mood and energy, especially after stressful periods of pushing myself too hard. Rhodiola has a number of brain and mental health benefits. I previously wrote about it here if you’re interested in learning more. It’s most commonly used to improve brain health because it increases blood flow to the brain and improves memory and attention in both healthy and unhealthy individuals. But researchers have also found that it reduces anxiety and stress. Two studies show that supplementing with Ginkgo Biloba significantly reduces anxiety compared to placebo (115-116). This occurs in both elderly individuals with cognitive decline and younger people with generalized anxiety disorder (115-116). And in healthy individuals, it reduces cortisol release during a stressful event (119). Animal studies also show that Ginkgo Biloba has anti-stress and anti-anxiety effects in both mice and rats, without producing benzodiazepine-like side effects (117-118, 120-122). Vitamin B6 is a key nutrient that supports your entire nervous system. It accomplishes this by playing a key role in the production of calming neurotransmitters in your brain, including serotonin and GABA. Studies have found that Vitamin B6 supplements can reduce anxiety (126-128). When I took antidepressants and benzodiazepines for my chronic anxiety, multiple functional and integrative doctors suggested I supplement with Vitamin B6. This is because these medications can actually further deplete Vitamin B6, increasing anxiety in the long run. If you take a medication to manage your anxiety, or simply have anxiety and want to manage it better, I recommend supplementing with Vitamin B6. Vitamin B6 is included in the Optimal Zinc supplement. Vitamin C is another way to reduce your anxiety and stress. Researchers have found that Vitamin C supplements significantly reduce stress and anxiety in humans and animals by limiting cortisol levels (129-136). In addition to getting Vitamin C from fruits and vegetables, I take at least 500 mg of supplemental Vitamin C every day. But based on my research and experience, if you want to reduce your stress and anxiety, you may have to take large doses of Vitamin C.
Two studies show that supplementing with a high dose (at least 3 grams) of Vitamin C reduces cortisol, psychological stress and anxiety (137-138). 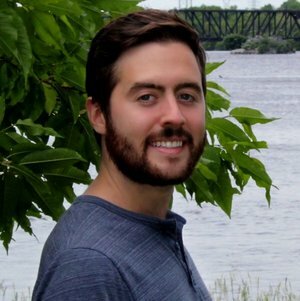 I experimented with taking up to 10 grams of Vitamin C daily, and it definitely reduced my stress and anxiety when coming off several psychiatric medications. Research shows that it can reduce anxiety in individuals with major depressive disorder (139-141). One animal study found that it reduces anxious behavior in rats (142). Curcumin is a good option is you struggle with chronic inflammation and both depression and anxiety. In my experience, it doesn’t help as much if you only have anxiety. But it’s still one of my favourite natural compounds for the brain and mental health. There are several different forms of “bioavailable” curcumin and I've tried most of them. The “Longvida” form is my favourite. You can get it here. One study found that it reduced anxiety in 30 women after 4 weeks of supplementation (143). And an animal study showed that it reduces anxious behaviour in rats by increasing neurogenesis (144). Holy Basil (Ocimum sanctum) is an adaptogenic herb that supports the body’s stress response. It’s known to have calming and relaxing effects on the body and mind. In one study, researchers found that OciBest, a whole plant extract of Holy Basil, significantly reduced symptoms of stress. It was 39 per cent more effective than placebo, and there were no adverse effects (156). Another study showed that supplementing with Holy Basil significantly reduces stress and anxiety in people with generalized anxiety disorder (157). It’s also been shown to reduce cortisol (158-159). And there is plenty of animal research showing that Holy Basil reduces anxiety, stress and stress hormone levels in mice and rats. And the anti-anxiety and anti-stress effects are comparable to antidepressant drugs (160-164). Holy Basil can be taken as a supplement, herbal tea, dried powder, or fresh leaf used in cooking. Safranal and Crocetin, two of the compounds within saffron, have been shown to stimulate GABA receptors and increase serotonin levels in the brain (165-166). Because of this, researchers have found that supplementing with a saffron extract can reduce anxiety (167). Several preclinical and clinical studies show that supplementing with saffron significantly reduces stress and anxiety in adults and youth without side effects (169-173). And one study found that the aroma of saffron significantly reduces cortisol levels and symptoms of anxiety in women (168). Animal research also demonstrates that saffron reduced anxiety-like behaviours in mice (174). Sceletium tortuosum is a plant commonly found in South Africa. It’s a psychoactive herb but it doesn’t cause hallucinations or lead to addiction. It often used before stressful events because research shows that it reduces anxiety and stress. Researchers have found that it reduces anxiety and stress in humans by decreasing activity in the amygdala and inhibiting the reuptake of serotonin (175). Animal studies have also shown that reduces anxiety and stress hormones (176-179). Zembrin is the patented form of Sceletium tortuosum often found in supplements. It’s included in this calming supplement. Lavender is often used in soap and shampoo because it smells nice. But it also has a number of health benefits. Lots of research shows that lavender significantly increases calmness, relieves restlessness and nervousness, and reduces emotional distress in people with anxiety disorders – without causing any unwanted side effects (180-183). One study found that Silexan, an oral lavender oil capsule, is just as effective at reducing generalized anxiety as lorazepam, a common benzodiazepine. And it didn’t cause side effects or addiction like the anti-anxiety medication (184). 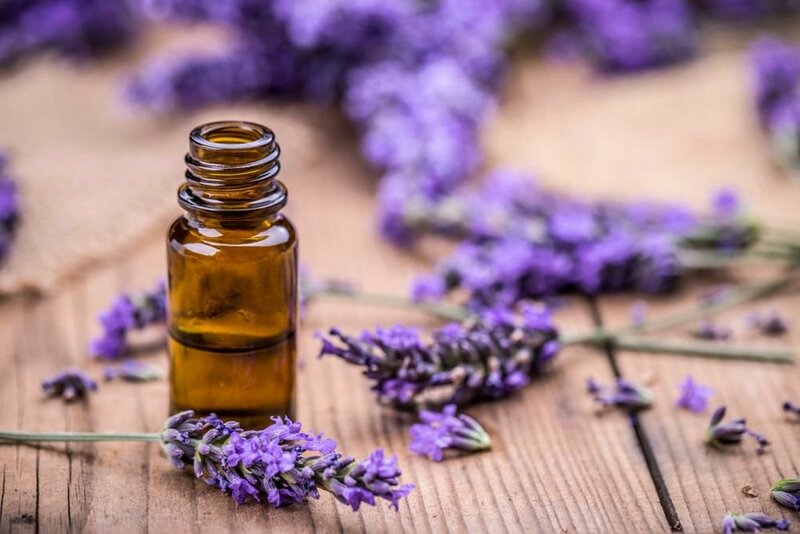 Tons of other studies show that inhaling the scent of lavender oil significantly reduces anxiety before exams, surgery and dental procedures (185-190). And in two studies of women with postpartum depression, inhalation of lavender oil significantly decreased their anxiety and stress (191-192). Unlike a lot of other natural compounds, scientists actually understand how lavender works – it decreases heart rate, blood pressure, body temperature and sweating; and it increases heart-rate variability and alpha brain waves (193-198). Animal research also shows that it reduces anxiety in rats by increasing GABA (199-204). As a result of all this, it has a powerful sedative effect on the nervous system, decreases the fight-or-flight responses, and relaxes the body. Lavender essential oil can be taken orally, inhaled or applied to your skin. Silexan is an oral lavander oil capsule commonly used in studies. You can get it here. 5-Hydroxytryptophan (5-HTP) is a naturally-occurring amino acid and the precursor to serotonin, a neurotransmitter that can reduce stress and anxiety. It easily crosses the blood-brain barrier and effectively increases the synthesis of serotonin in the brain (205). Research shows that supplementing with 5-HTP significantly reduces anxiety by increasing serotonin levels (206-208, 212). One study found that people with panic disorder who take 5-HTP experience a reduction in panic and the fewer panic attacks (209). Not only does 5-HTP reduce anxiety by increasing serotonin; it’s also been shown to promote relaxation by increasing GABA and BDNF levels (210-211). 5-HTP in supplement form is extracted from the plant Griffonia simplicifolia. It’s included in this anti-anxiety supplement. Nigella sativa, more commonly known as Black Cumin Seed, has been used as a natural remedy for more than 2000 years. It’s surprising more people haven’t heard of it because it’s actually one of the top-ranked evidence-based herbal medicines. Researchers have found that black seed oil reduces inflammation and anxiety without side effects (218-219). Studies also show that it significantly reduces anxiety-like behaviour in animals by increasing GABA and serotonin levels (220-224). You can get high-quality black seed oil here. Skullcap refers to two separate medicinal herbs – American skullcap (Scutellaria lateriflora) and Chinese skullcap (Scutellaria baicallensis). Both herbs have been shown to reduce anxiety and stress. A double blind, placebo-controlled study demonstrated that American skullcap can reduce anxiety in adults (225). Other research has found that Chinese skullcap can reduce anxiety and treat stress-related disorders by reducing stress hormones and enhancing GABA receptor activity (226-228). Gotu Kola (Centella Asiatica) is an herb with antioxidant and anti-inflammatory properties. It has been used for centuries in Ayurvedic and traditional Chinese medicine to alleviate symptoms of anxiety. Researchers have found that Gotu Kola significantly reduces anxiety, stress and depression in individuals with generalized anxiety disorder (229). In one study, people that supplemented with Gotu Kola were less likely to be anxious and easily startled (230). Animal research shows that lowers anxiety-like behaviour in rats by increasing GABA levels (231-233). It's important to point out that the Gotu Kola plant soaks up heavy metals from the soil. So you need to find a high-quality, organic source that doesn’t contain heavy metals. It’s important to note that taking a combination of the above options will provide the greatest relief from anxiety. They have a synergistic effect, meaning they work better when taken together. Ashwagandha and Bacopa – In one study, researchers found that taking these herbs together worked significantly better than taking them alone (269). Bacopa and Omega-3 Fatty Acids – Since Bacopa is fat soluble, it’s said that it works better when it’s taken with a meal that contains fat. And research backs this up. One study found that bacopa and fish oil are more therapeutic together (270). Valerian and Lemon Balm – These two herbs are most often sold in combination with each other. And there’s good reasons why. Together, both of these plants significantly reduce anxiety, restlessness, concentration difficulties and impulsiveness in adults and children (272-273). Chamomile and Lavender – One study showed that the aroma of both chamomile and lavender was more effective at reducing symptoms of anxiety and stress than either of them alone (271). L-Lysine and L-Arginine – These two amino acids aren’t even included in the list above because they aren’t effective at reducing anxiety and stress alone. But together, they have been shown to significantly reduce anxiety and decrease cortisol levels (274). A lozenge containing 4 different herbal preparations (lavender oil, extracts from hops, lemon balm and oat) has been shown to reduce anxiety, increase relaxation and increase alpha brain waves (275). If you’re looking for an all-in-one supplement, this anti-anxiety supplement includes several of the natural compounds listed above all in one capsule. You can use the coupon code FIVE$45496275 for a 5% discount. And my Optimal Zinc supplement also contains several nutrients that can help you reduce your anxiety and stress.